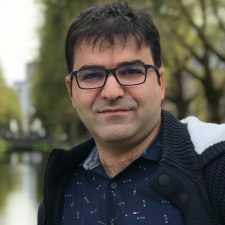 Mahdi Bohlouli is currently Assistant Professor for data science and machine learning at the Institute for Advanced Studies in Basic Sciences (IASBS) () with the main research focus on applied deep learning and big data, specially in tackling misinformation (fake-news) and identification of social bots areas. This covers the use of a novel recurrent neural network approach featuring an attention mechanism. Furthermore, Mahdi leads significant researches in the areas of applied deep learning and big data analytics in services of tomorrow covering work 4.0, smart cities and web of things. Before accepting assistant professorship at IASBS, Mahdi was group leader (2016-2018) of Web Search and Data mining () in the Institute for Web Science and Technologies (WeST) () University of Koblenz () as well as senior research associate and project manager (2010-2016) at the Institute of Knowledge-based Systems (KBS) (), University of Siegen (). 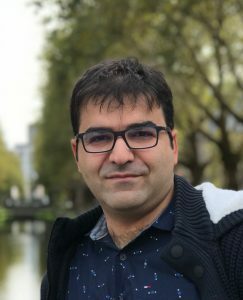 Mahdi has received his PhD from the University of Siegen with the main focus on statistical regeneration and scalable clustering of big data using MapReduce in the Hadoop ecosystem (). Furthermore, Mahdi was involved in leading up various industrial software projects in the IT sector (2001- 2008). Mahdi has a successful experience and great acceptance record in European and German research proposals and projects, which resulted in a numerous research projects with involvement in setting-up, management and research activities. Because of this, he has also been invited to give keynote talks () in various universities/countries about how to succeed with European research proposals. He has supervised over 50 undergraduate, graduate and research reports () and has taught over 20 courses () in different universities up to now. Mahdi served a Program Committee (PC) member () over 40 highly qualified conferences as well as co-chair of workshops/conferences. Furthermore, he has been invited for reviewing in over 25 scholarly (mostly ISI indexed) journals. Last but not least, Mahdi gave few invited and keynote talks in various conferences about Big Data, Machine Learning, Cyber-Physical Systems and their applications in the workforce of tomorrow (Work 4.0). Further information can be found in corresponding sections.